If you are dealing with chronic pain or inflammation in your life, proper nutrition can play a key role in helping you find relief. Diet is an important part of any physical therapy regimen because eating the right foods can help your body recover from many different conditions. Eating right, paired with reduced stress and proper exercise can help in correcting inflammation and chronic pain. To find out more about how our nutritional services can benefit you, contact Partners In Physical Therapy today and schedule a consultation with one of our physical therapists. To learn more about how we can help you abide by a strict nutrition plan to decrease inflammation and boost overall wellness, contact our Lake Charles, LA office today. 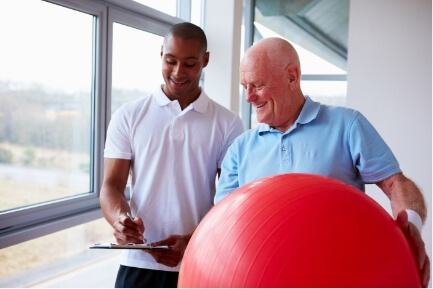 One of our physical therapists would be happy to set up a consultation and speak with you!